Is your toilet pipe clogged? Does your flushing seem slower or weaker than usual? Is there water resurfacing in your sink, shower or elsewhere? Do you have a loose toilet handle? You may feel that you need to call a plumber, but this doesn’t have to be the case. Most likely you won’t need to call a plumber; it’s usually easy and cheap to unclog the toilet yourself. See that toilet plunger lying next to your toilet? Yeah, that unremarkable looking thing can work wonders with a clogged toilet. Simply press the plunger into the toilet; hard, but not fast. It may take a few attempts to get a nasty clog out. If this doesn’t work, try mixing some hot water and dish soap, then pour it into the toilet and try using the plunger again. Toilet pipe clogged still? Then read on. If you tried these methods and it didn’t fix your clog, you may think you need to call a plumber. If you do call a plumber, he’ll most likely use a toilet auger (plumbing snake) to unclog your toilet. What’s a toilet auger? It’s a tube that’s usually about 3 feet long. It has a crank on one end and a metal cable inside of the tube. The tube is meant to go inside the toilet to clear out the clog. Additionally, some toilet augers have a plastic boot at the end of the cable, which protects the toilet from damage. A toilet auger is rather simple to use; you simply insert one end into the toilet and extend it by turning the crank. If you feel resistance, it likely means that it has found something solid, maybe a toy or the like. In this case you should recrank the auger back up to you to get rid of the clog. If you see small bits of accumulated objects surfacing in the toilet, then there’s likely a buildup of these materials. Just move the auger back and forth to clear out the clog. If there’s little or no resistance, then the clog is likely a result of grease or minerals building up. Move the toilet auger around and you should still be able to remove the buildup and the clog. If you’ve tried all of these methods and all have failed, you can try using a chemical agent, although they’re bad for the environment. The chemical agent should solve the problem. If you don’t want to use this last solution, then calling a plumber might be the only way. You might have a sewer line clog, in which case the plumber will have to remove the toilet bowl from the stand to remove the clog. Is your toilet pipe clogged still and you don’t know what to do? 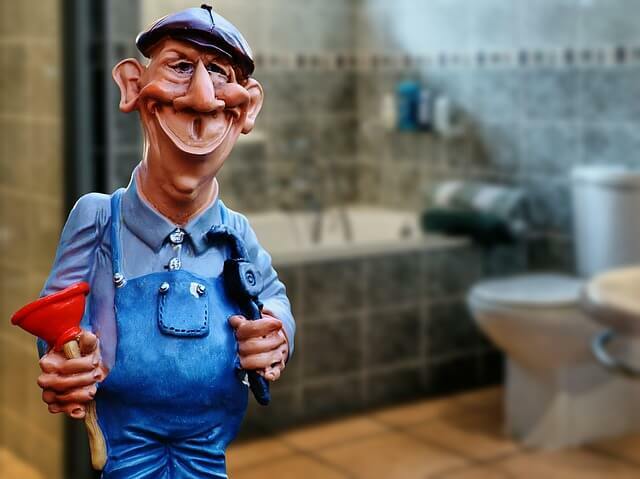 Give us a call and we’ll help you find a qualified plumber in New Jersey.